This book has just completely blown me away. 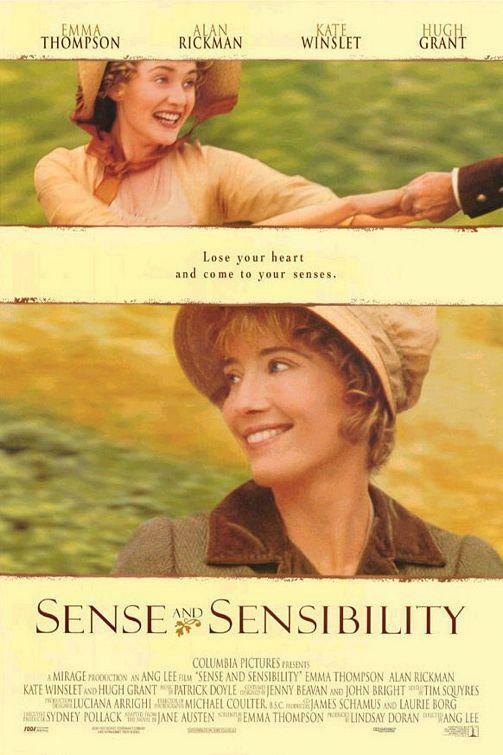 I don't think I've ever enjoyed a Jane Austen novel as much as I've enjoyed Sense and Sensibility – or at least not the first time around! I have to admit that the first time I read Pride and Prejudice, it wasn't love-at-first-read, probably due to the fact I was reading it for school. But the Dashwood sisters roped me in pretty quickly! First was the news that the Steele sisters were thrown out of Mr John Dashwood's house by a rather inconsolable Mrs John Dashwood! I completely didn't see that coming at all... or at least not so swiftly! Of course, I didn't pity the Miss Steeles at all. I was also glad that Elinor could finally reveal Edward's engagement to Marianne – how she could've kept it a secret for four months and not explode is a credit to her. I would never be able to do that! Though I know it pained Elinor to do so as Marianne took comfort in their love, it must've been a relief for the former to finally discuss it with someone. Colonel Brandon's offer to Edward was extremely generous, but I judged from the latter's reaction that something was amiss there. I thought it very likely that Lucy had exaggerated Edward's professions and he wasn't as happy as was communicated by others. But I was extraordinarily shocked to learn that she had run off with Robert Ferrars! I mean, what the hell, Lucy?! Of course, I was relieved and ecstatic that Edward was finally free of her and able to marry Elinor, but come on! No way, that girl is just a crazy piece of work. I'm sure she'll fit in well with Mrs John Dashwood and Mrs Ferrars. At least now with Elinor there is one warm and respectable female in the family. The bustle in the vestibule, as she passed an inner lobby, assured her that they were already in the house. She rushed forwards towards the drawing room, ––she entered it, ––and saw only Willoughby. That was the last thing I thought I'd read! And then to hear what brought him there, all the confessions he laid out on the table, and how far he had travelled just to do so... it really just all astounded me. I felt as if he had redeemed himself slightly after immediately reading what he had to say, but now that I think about it, did he really? Why couldn't he have just told the truth in the first place? Okay, so I know he was ashamed of what he had done before he met Marianne, but if he really did love her and trusted her, then why couldn't he have told her before? I understand that this is a different era we're talking about and that might not have been the proper thing to do... but since when was he ever really proper? Anyway, all I know is that I'm glad that he would then have his whole life to consider his actions. But Elinor also made a very good point – if he did marry Marianne, he would've probably been unhappy for the lack of money instead of for the lack of love. Such a man can never be happy unless he has both at the same time. But, as with Miss Lucy Steele, he probably didn't deserve that much. I am so happy that Marianne and Colonel Brandon got married! And the fact that they, Elinor and Edward all live at Delaford was the happiest and most fulfilling ending possible! Plus I loved that Jane gave us some insight into what occurred after they all got hitched – I get frustrated it when you're left guessing too much at the end of a novel (though that is sometimes a good thing for the imagination). 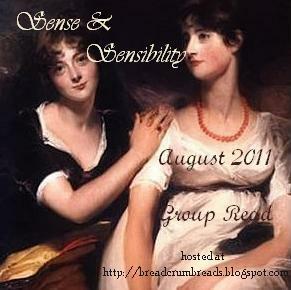 All in all, Sense and Sensibility was a very fun read, and I truly enjoyed every page. 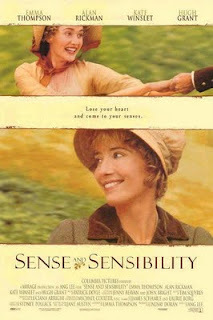 Although it gave me more initial pleasure than Pride and Prejudice did, I don't think it topped it; I've built up too much of a connection with P&P over the years. But, it certainly has earned itself a very special place of its own inside my heart.